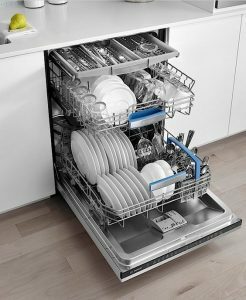 Plumbing in a washing machine or a dishwasher is not a particularly difficult job for a DIY enthusiast, but some thought must be given to he planning, particularly with regard to where you want to place the appliances. Most washing machines work best with a hot and cold feed, even though most can run on a cold only supply, this is inefficient as the machine has to heat the water up rather than just using your domestic hot water. Dishwashers however are normally designed to run on a cold only supply. When positioning a washing machine or a dishwasher, you need to be as close as possible to the water supply, bearing in mind the waste from washing machines and dishwashers goes into the same waste outlet as your sink, so you need to be close to your sink outlet also. 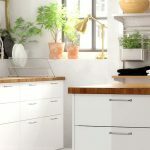 If simply replacing a washing machine or a dishwasher, you should find that the previous owners or tenants have already thought this through, but if you are completely renovating a kitchen and moving sink units, remember these appliances have to be nearby. In addition, you will require a 13 amp socket to plug your washing machine or dishwasher into. 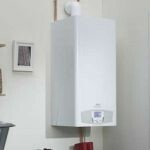 if there is not already a valve fitted to the hot and cold feed to take water to the washing machine/dishwasher, you will need to insert a valve to take the water from this pipe to the machine, preferably an isolation valve, which means you can isolate the water supply to the machine without turning off the house water supply. For washing machines and dishwashers, the best type of isolation valve is the lever type, which can be easily turned off without tools. Use colour coded valves for hot and cold to make things easier – you can find these in almost any DIY store. Removing the waste from your washing machine or dishwasher is easier the closer you are to the sink waste pipe. Fittings are available with 2 nozzles so the same fitting can be sued for both the dishwasher and washing machine. If you are too far away from the sink to these standard fittings, or your machine does not have the standard type of waste removal, a stand pipe will need to be fitted to the wall and then connected to the existing drainage system. Plumbing in a washing machine or a dishwasher is not terribly difficult, but it can be time consuming and involve working in confined spaces. In addition, often you will need to cut holes in kitchen units to accommodate pipes and fittings. 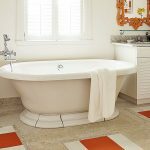 If you don’t fancy taking this job on yourself, use the “Post a Job” page to gather free quotes from local tradesman and reliable and trustworthy plumbers.